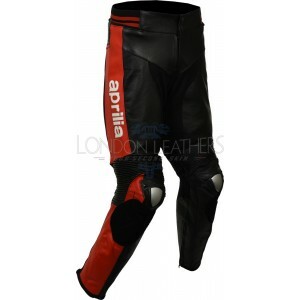 A solid coloured CE armoured sports biker trouser A SNUG FIT pre-curved design (for c..
Special Edition - Exclusive - Track Ready This trouser is the ideal compliment for the ..
• 1.3mm cowhide leather • Multiple stitched main seam construction for safety • Flex leather at ba..
Overview: • 1.3mm cowhide leather • Multiple stitched main seam construction for safety • Flex ..
A tribute to Evel Knievel, the World Famous American DAREDEVIL and Entertainer Design: Premi..
Overview: • Analine treated cowhide leather • Multiple stitched main seam construction for safet..
Design: Exactly as shown, Internally lined (non-removable). Genuine YKK main zip, Convenient full ci.. If you own a Honda CBR motorcycle, then outfit yourselves with this smart replica apparel desig..
• Analine treated cowhide leather • Multiple stitched main seam construction for safety • Flex lea..
Limited edition Hannspree owners outfit yourselves with this smart replica apparel designed to ..
Honda classic bike owners outfit yourselves with this smart replica apparel designed to compliment y..
As worn by Dani Pedrosa for the Repsol Honda MotoGP race team. Ideal for the proud lucky owners of t..
• 1.3mm top grade cowhide • Multiple stitched main seam construction for safety • Flex leather at ..